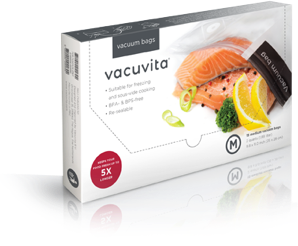 Whether it is marinating, pickling, sous-vide cooking, Vacuvita will help you to cook like a chef. You can marinate in 5 minutes with the Home Base! 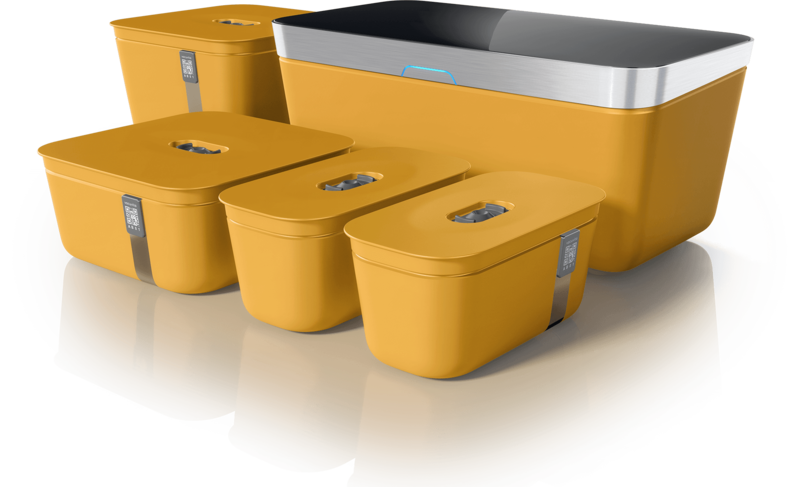 Our containers are a great addition to your Home Base, they allow you to further extend your vacuum storage possibilities. 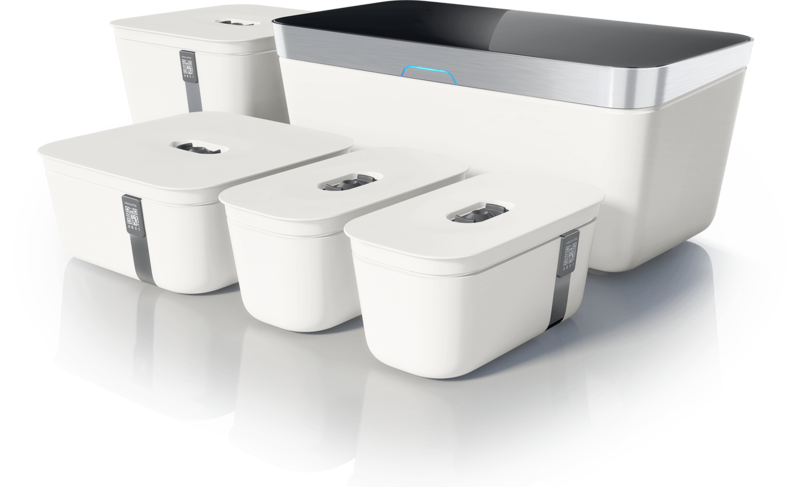 The Home Base is a fully-automated and sustainable kitchen system that keeps food fresh for up to 5 times longer! No more freezer burned meat, dried out vegetables and soggy salad. 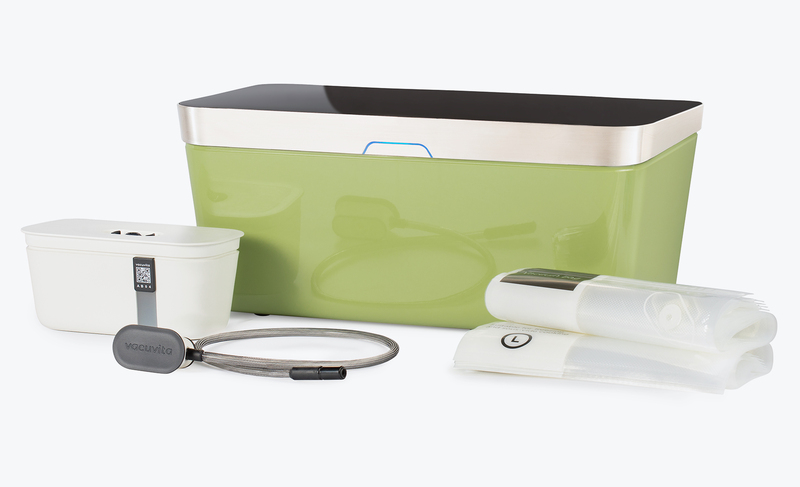 The reusable food containers come in 3 sizes: 1 quart, 2 quart and 1 gallon. The unique stackable square containers are made to fit conveniently on the shelves of your fridge or freezer. With 4 colors to choose from, you will always find one that fits your kitchen’s interior. 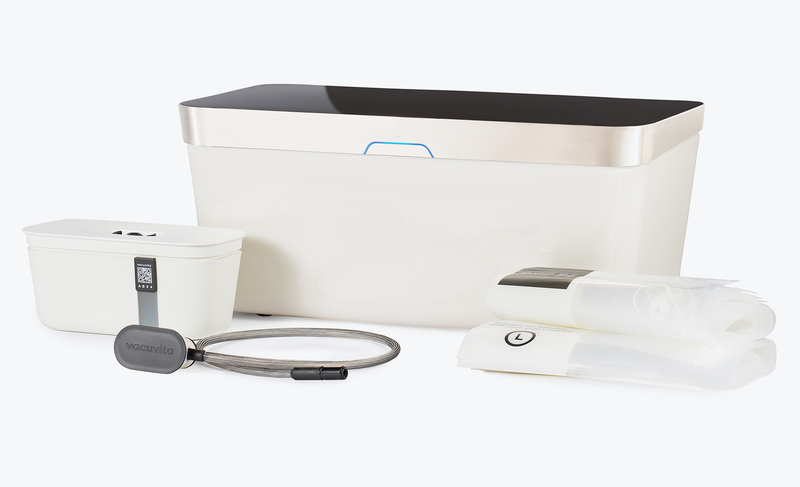 As professional chefs know, the secret to the tastiest and most tender food is to use the sous-vide technique. 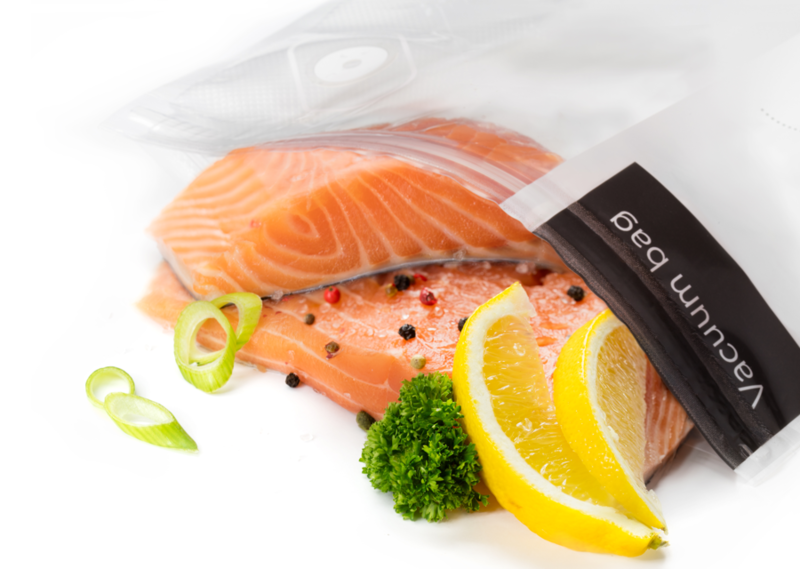 If you love to cook, try sous-vide and amaze your friends and family! Enjoy your daily fresh food, stop food wastage and save money. 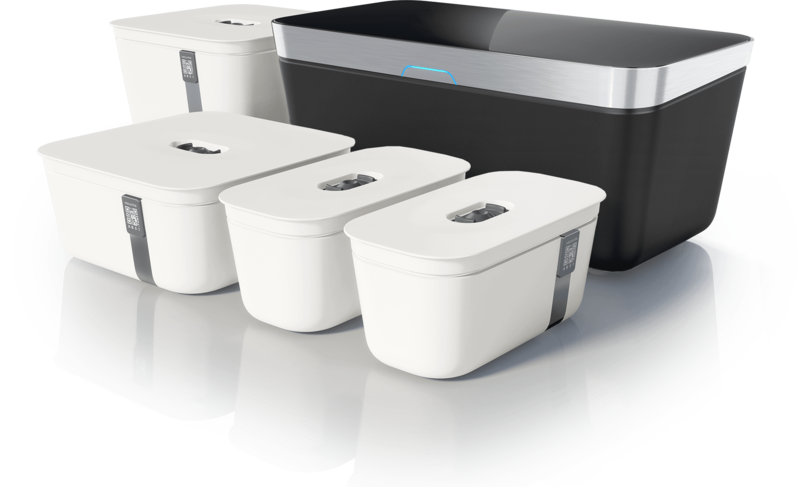 Vacuvita is a fully-automated and sustainable kitchen system that keeps food fresh for up to 5 times longer! No more freezer burned meat, dried out vegetables and soggy salad. 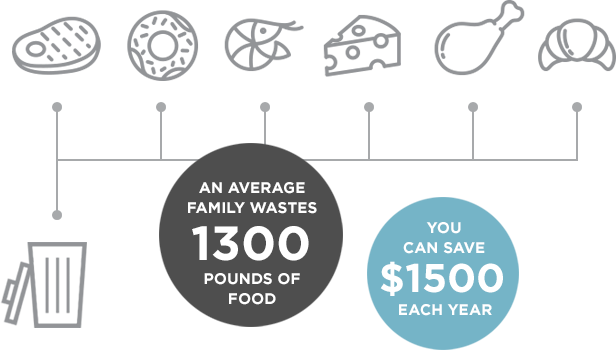 Did you know an average household wastes 1300 pounds of food a year costing them over $1500? The Home Base Set is the best way to start saving food. Including the Home Base, 1 small container and 10 bags, it has everything you need to complete your kitchen with vacuum. Serve the tastiest BBQ food! A spontaneous diner or BBQ? Forgot to marinate your meat or fish the day before? 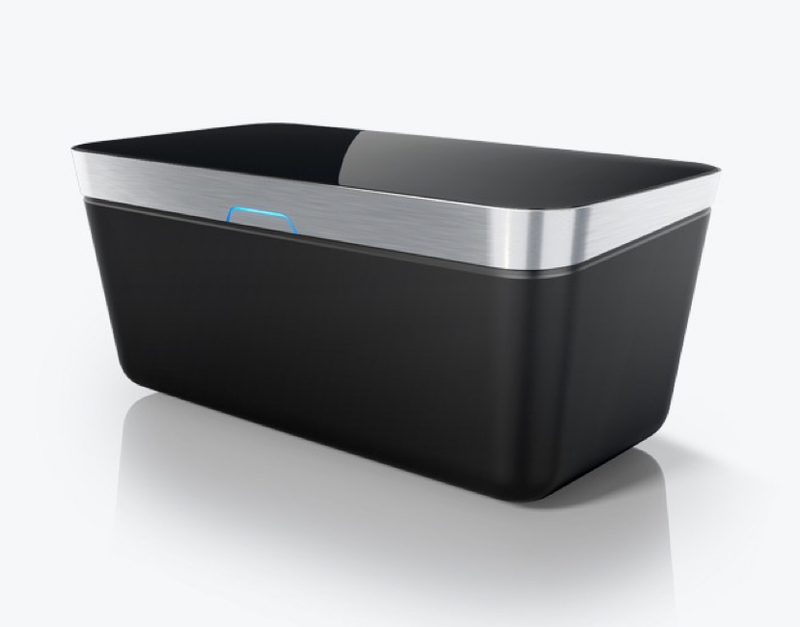 The Home Base can be used to marinate meat, fish or poultry within minutes. Just press the button on front three times and it will marinate in five minutes! Fire up that grill and show your friends your culinary skills! 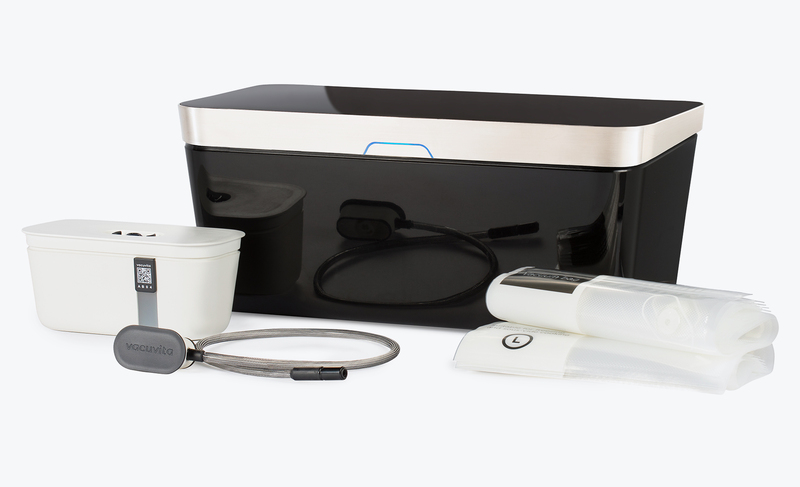 The free Vacuvita app (optional) will help you unlock the full potential of your Vacuvita system. Place your food in one of the containers or a bag and easily register the contents. 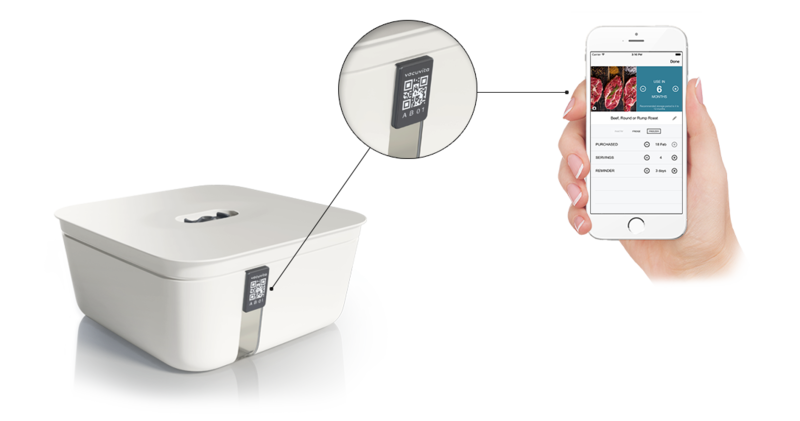 The app will help you determine the shelf life of that product and alert you before it expires. Scan a container a see the contents without breaking the vacuum seal. You don’t have to use it, but you can!